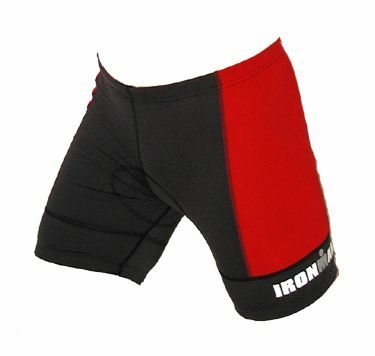 Ironman Triathlon Speed short UNISEX black with red stripes on both sides. o) With a small antibacterial cycling pad. o) Rubber-coated leg cuffs to prevent it from slipping up.